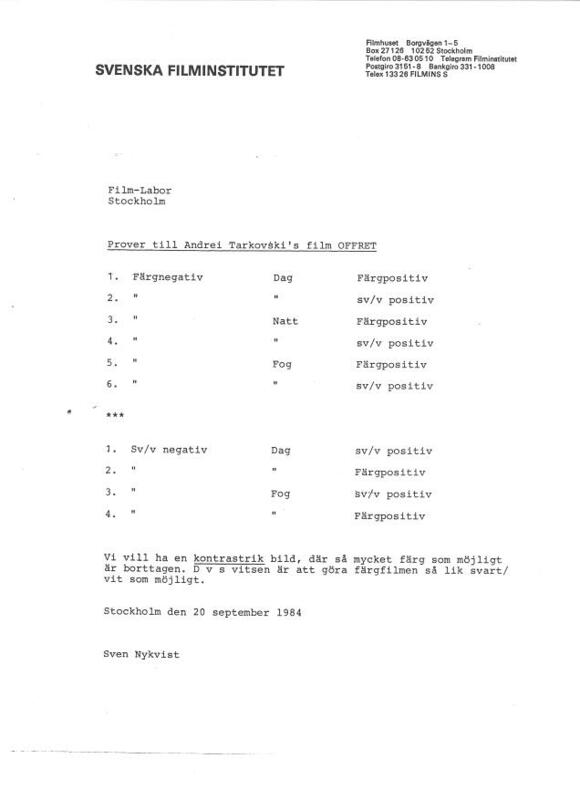 Letter from Sven Nykvist to film lab regarding development of film samples. 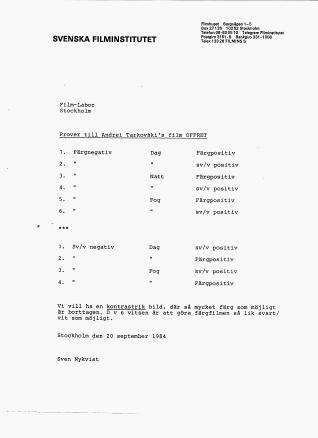 Letter from Sven Nykvist to photo lab. Samples for Andrei Tarkovski's film OFFRET. Presumably written during pre-production, during a test period. Note at the bottom reads, "We want an image rich in contrast, where as much color as possible has been removed. The point being to make the color film as similar to black/white as possible. Stockholm, 20 September 1984. Sven Nykvist."